Thanksgiving is coming up and I’ve started getting my home ready for guests. Almost all of my family is local so we swap hosting holidays each year. This year I’ll be hosting Thanksgiving which I’m so excited about. 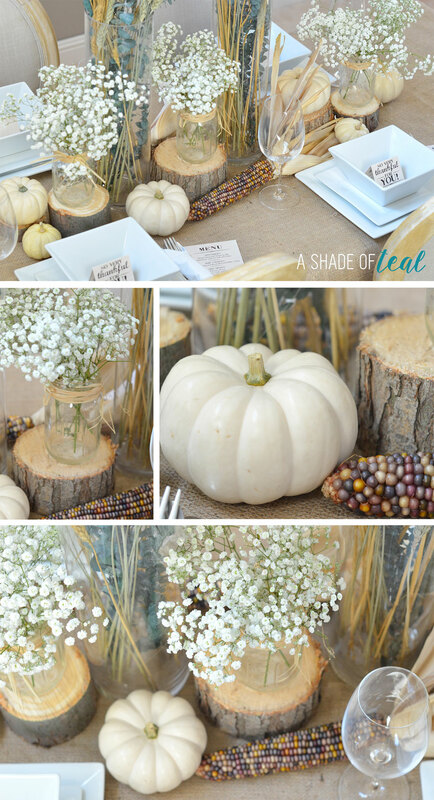 I decided to decorate in a Rustic theme and I’ll be showing you how to create a Rustic Thanksgiving Centerpiece. 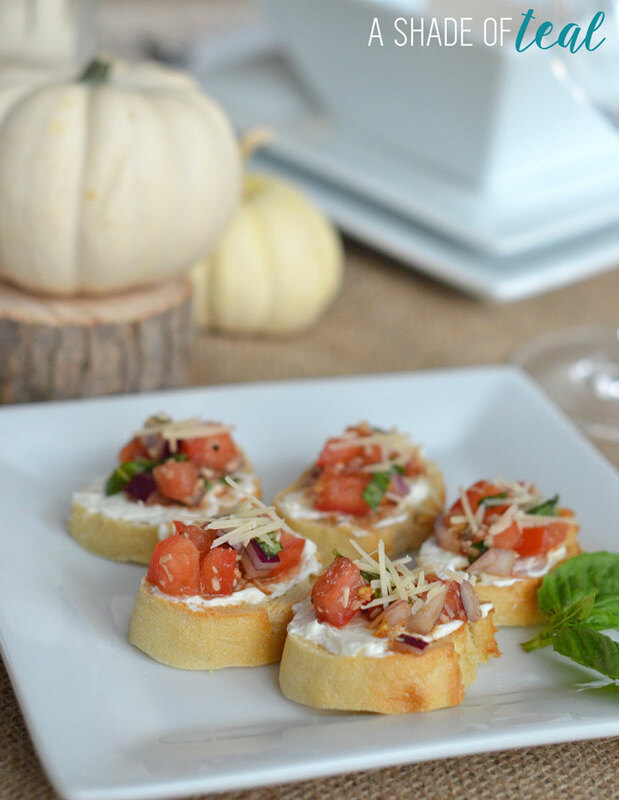 Plus, I’ll be making Creme Cheese Bruschetta; its quick & easy to make and your guests will love it! 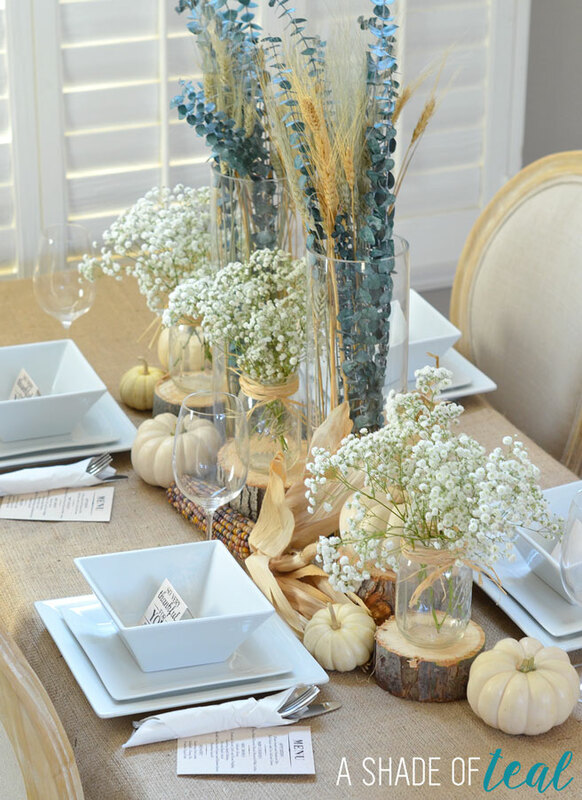 When it comes to getting the home ready for the holidays I love the decorating and cooking aspect. However, when it comes to cleaning I tend to put that off till the last minute! 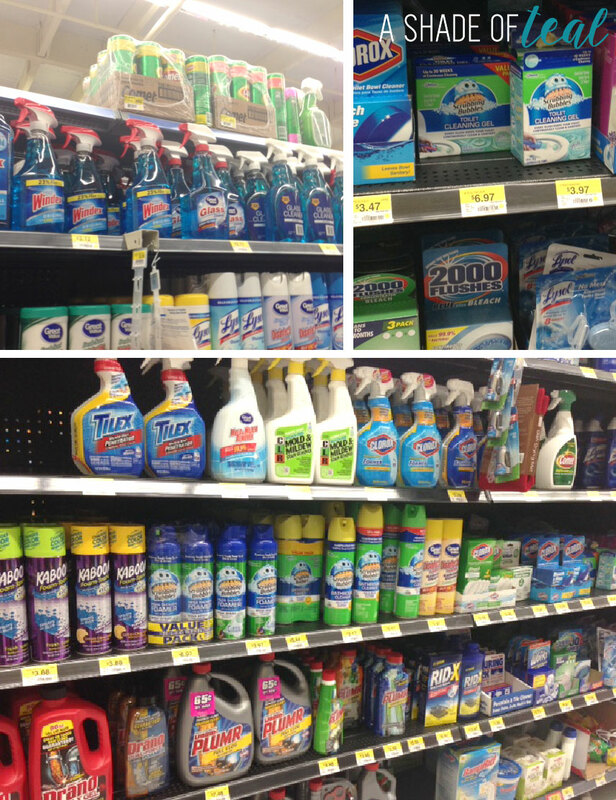 So, using products that make cleaning a snap is really important to me. So, before I start my table centerpiece I get to cleaning! The last think you want is a dirty home when you’re having guests over. 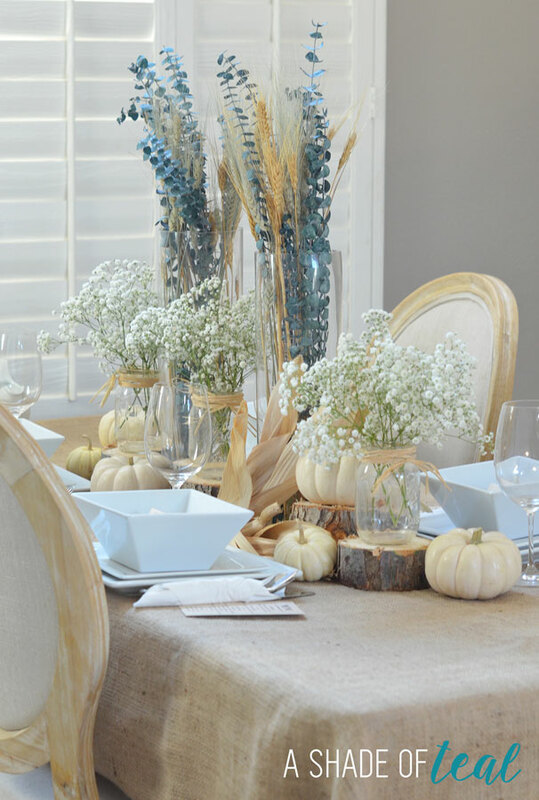 When I was shopping at Walmart for my centerpiece decor I also picked up some Windex® Original Glass Cleaner and Scrubbing Bubbles® Toilet Cleaning Gel. 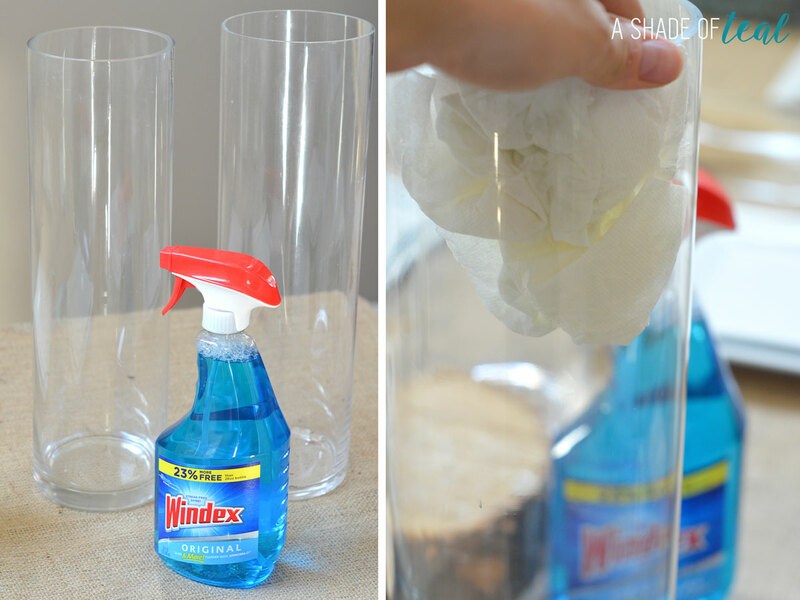 I love using both of these products in my home, especially Windex®. Cleaning windows and mirrors can be challenging but Windex® takes so much work out of it with it’s streak free shine. 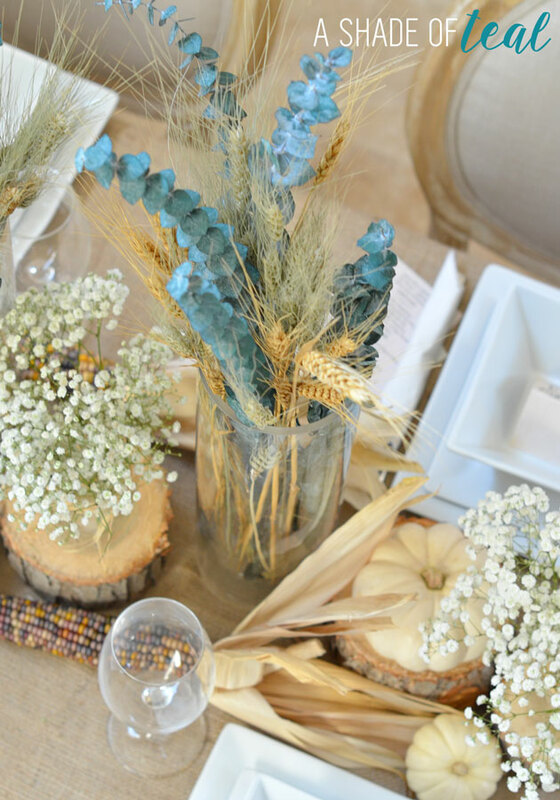 For my centerpiece I used 2 tall glass vases. These have been sitting in my garage so they were covered in dust and water spots. So, I cleaned them with Windex® to make them spotless. 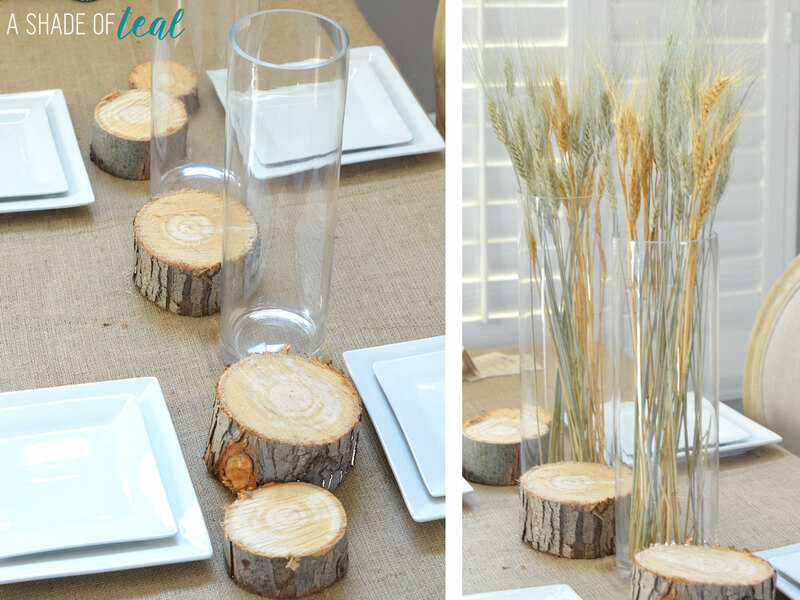 I then placed my 2 clean tall glass vases on the table along with some wood slices. We recently cut down 2 trees in our backyard that were becoming overgrown and their roots were starting to wreck havoc on the rest of our yard. Of course I made sure to save a bunch of the tree cuttings for projects! Just keep in mind you’ll need to treat the wood before using them around the home. I also added some wheat stalks to both vases. 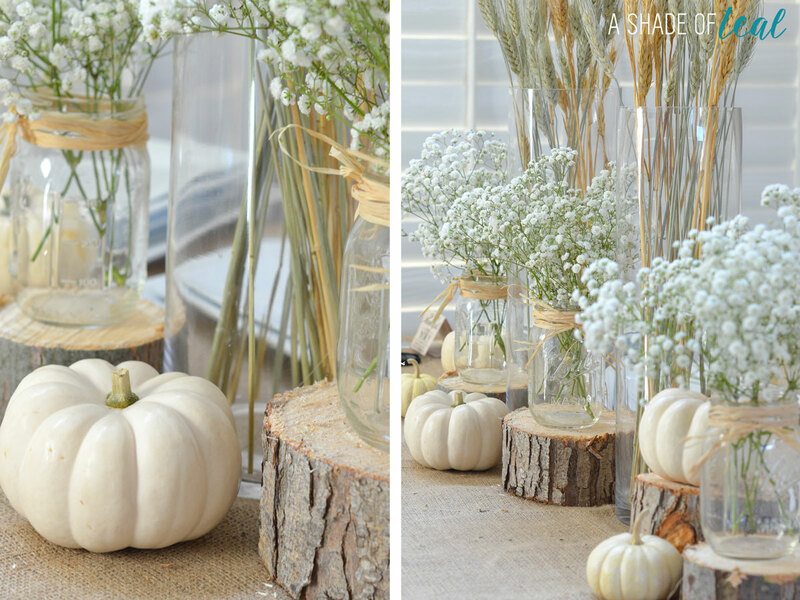 For flowers I used some white baby’s-breath in mason jars and placed the jars on top of the wood slices. 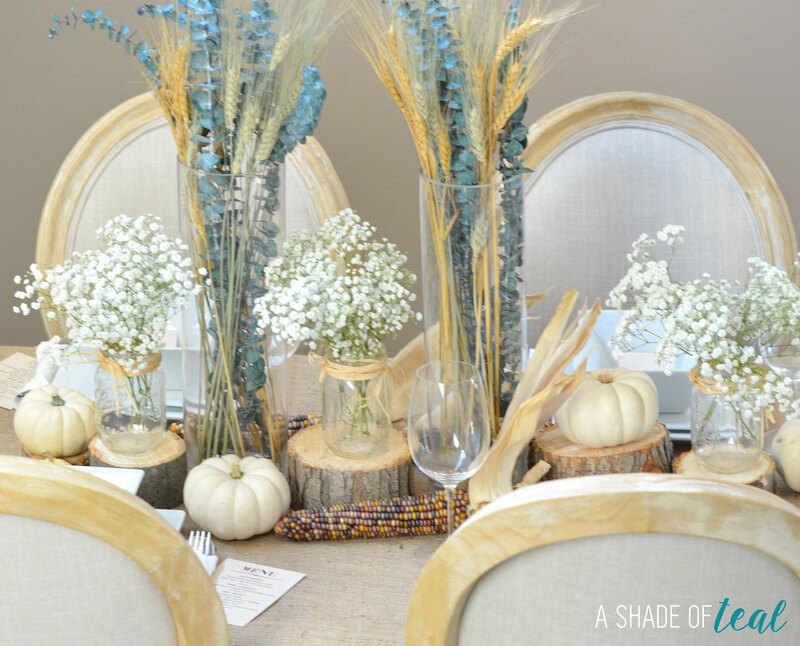 I added some white pumpkins and corn to the table. Finally I added some dried eucalyptus to the vases. My last step was to set the table. 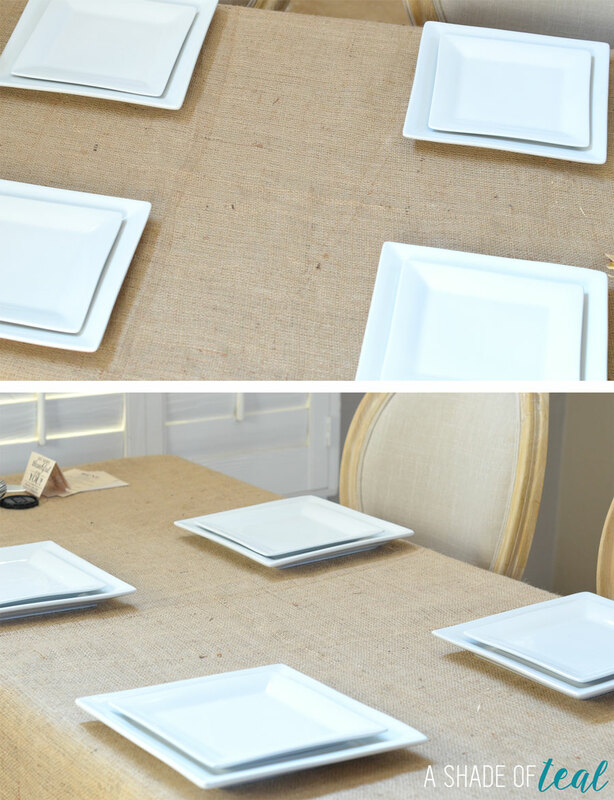 I wanted a simple setting so I chose an all white dish set. I also printed out custom Menu’s and a welcome sign for each guest. Here’s my completed Rustic Thanksgiving Centerpiece. Chop tomato, onion, and basil and combine in a bowl. Add garlic, about 2 tsp olive oil, 2 tsp Balsamic, and salt and pepper to taste in medium bowl. Stir ingredients and set aside. Slice baguette into 1/2” thick slices and arrange on a baking sheet. Warm bread till its slightly toasted. 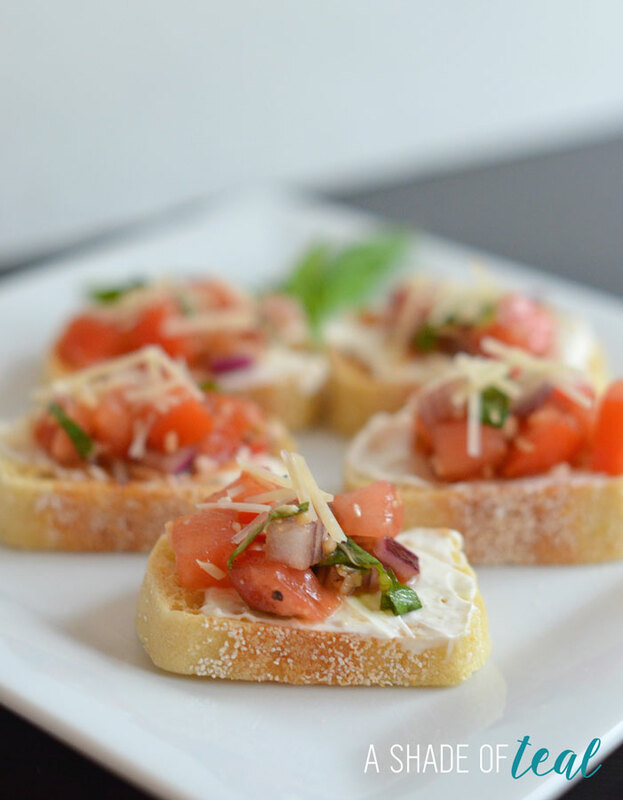 Lightly spread creme cheese mixture on bread and top with tomato mixture and a sprinkle of Parmesan cheese. I had a hard time staying away after I made them. The smell filled our home and made me so excited for the upcoming holidays! 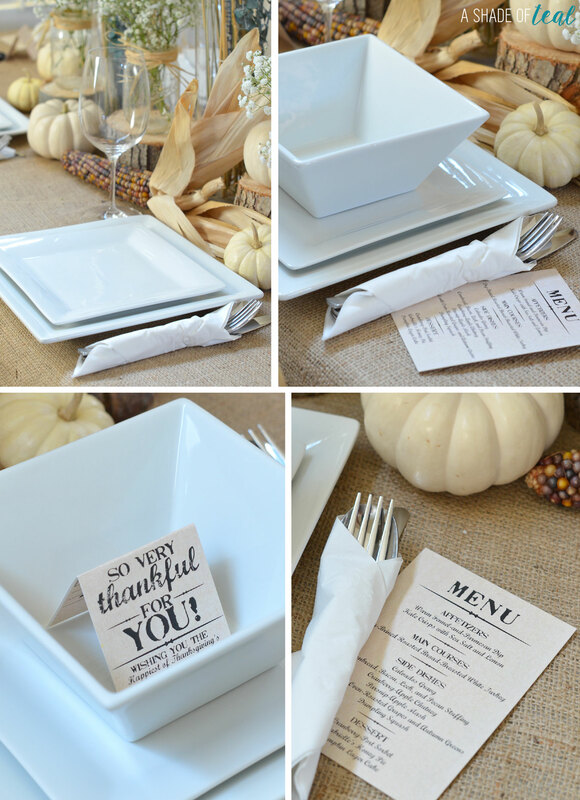 I hope your all celebrating #HappyThanksGathering this year! If you are don’t forget to grab your coupon for $5 off holiday photos with purchase. 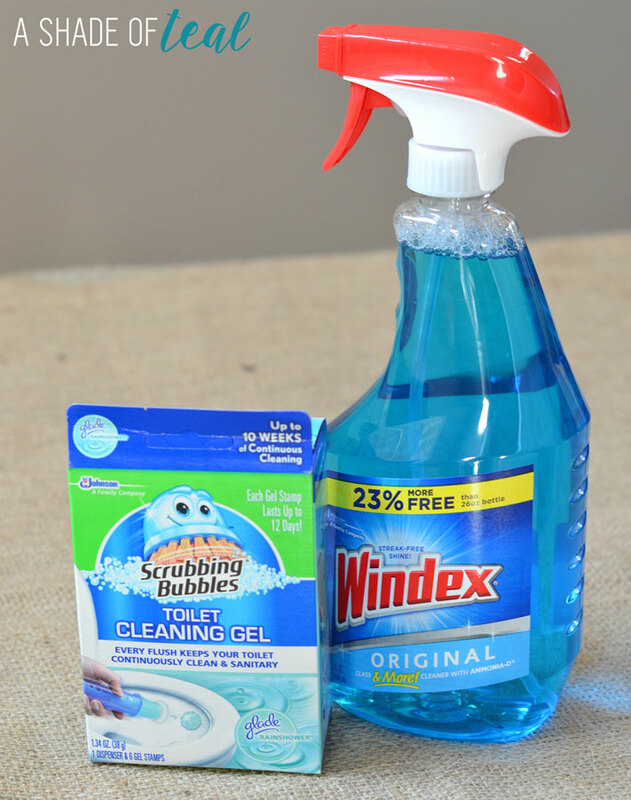 You can also save on Windex® Products & Scrubbing Bubbles® Bathroom Cleaning Products. Are you ready for Thanksgiving? Are you also putting off cleaning like me? 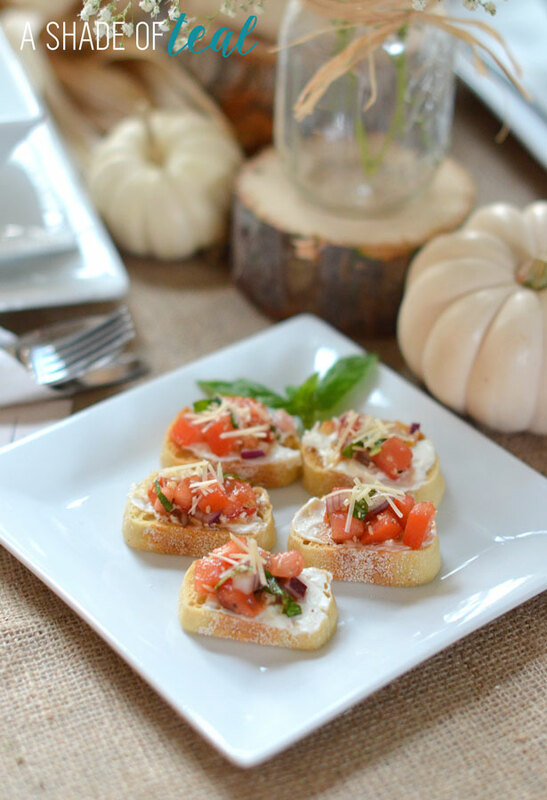 I love to hear your favorite Thanksgiving recipe or even a cleaning tip! If your like me and need more tips then check out SC Johnson’s website. New Year, New You; Learning to say Yes!